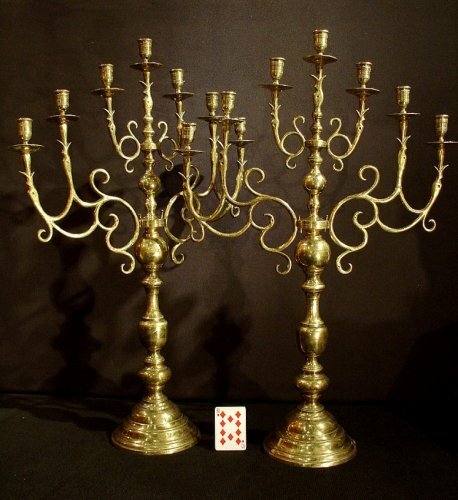 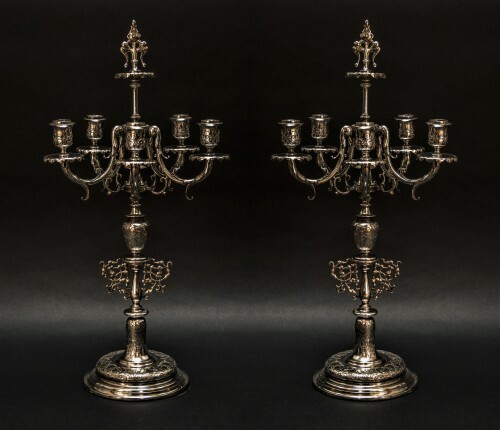 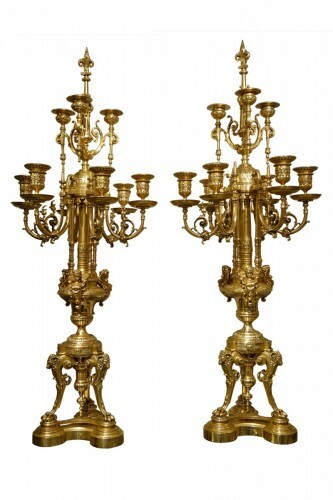 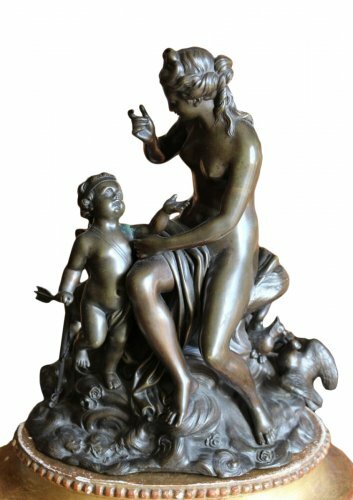 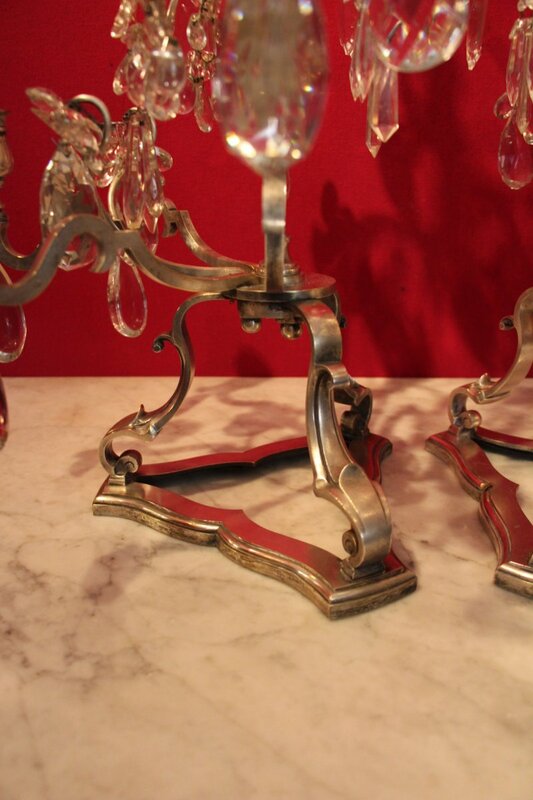 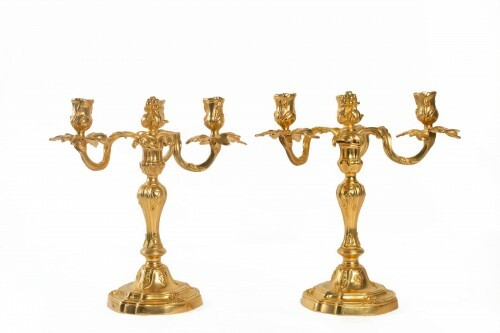 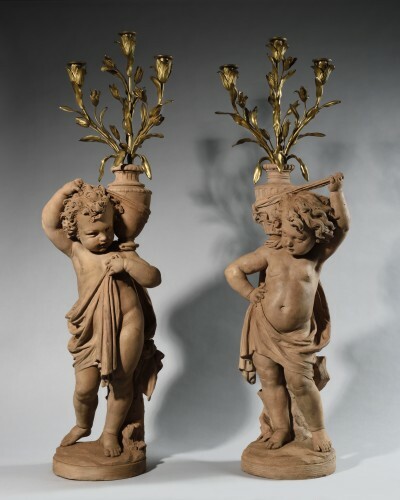 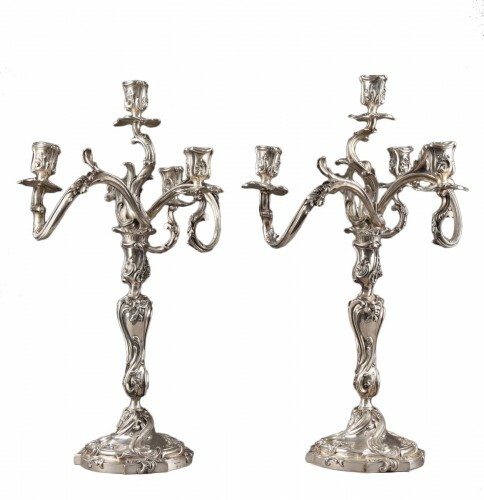 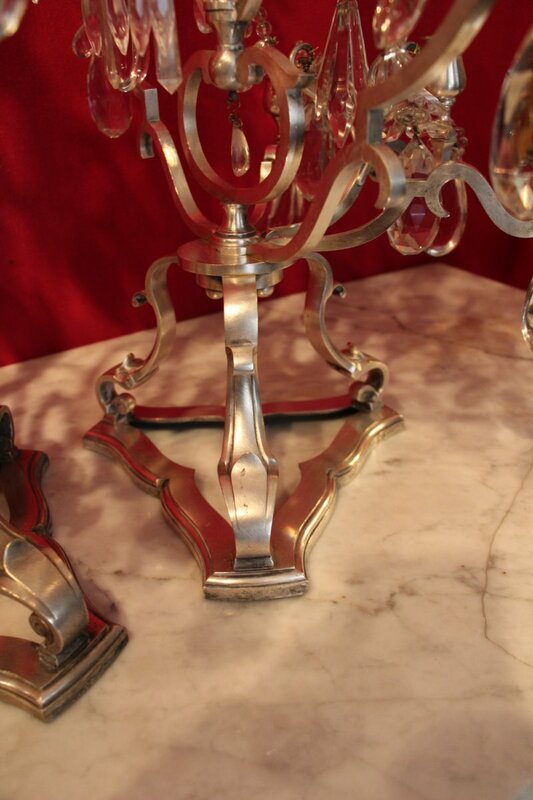 Important pair of candelabra in silvered bronze, with a lyre in the center. 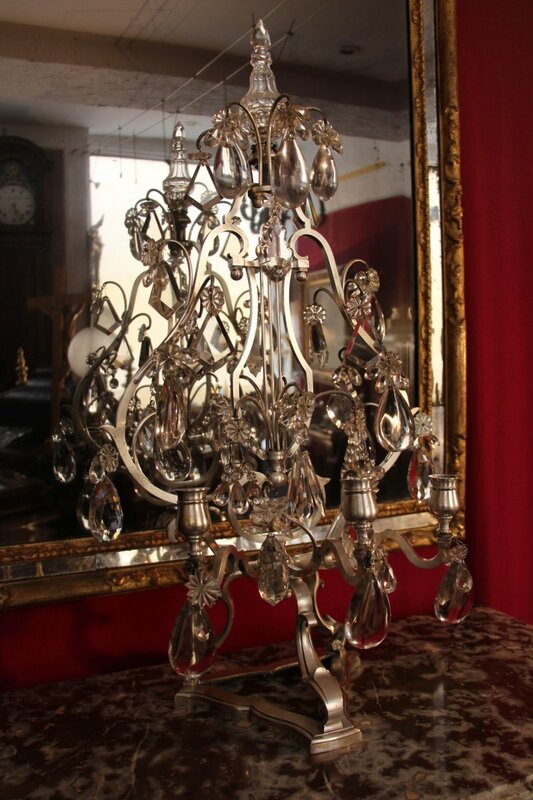 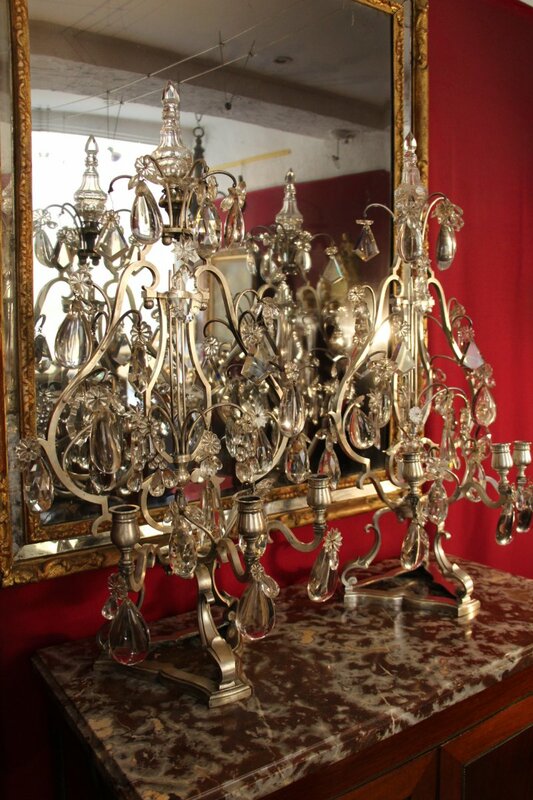 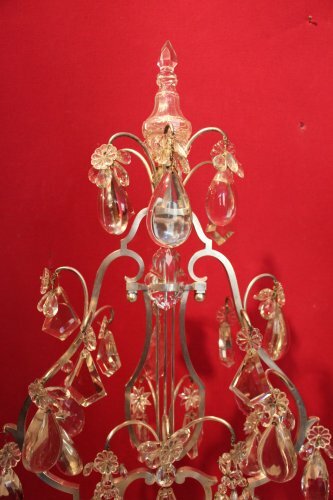 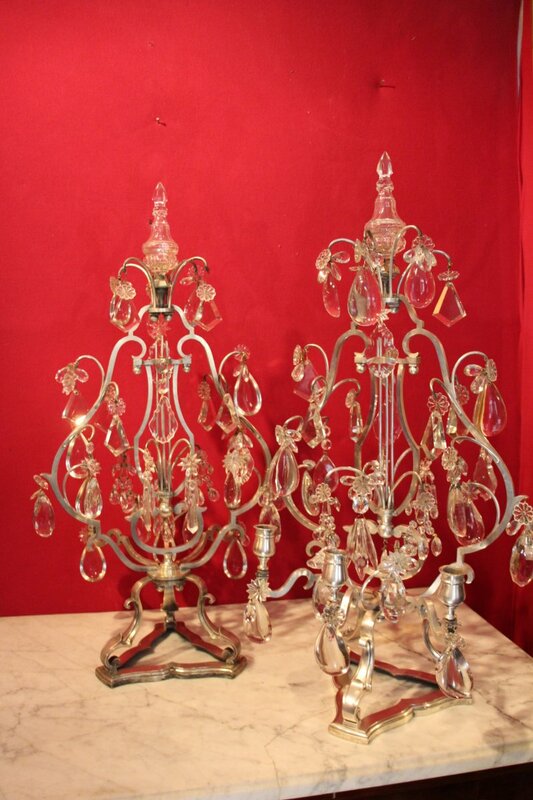 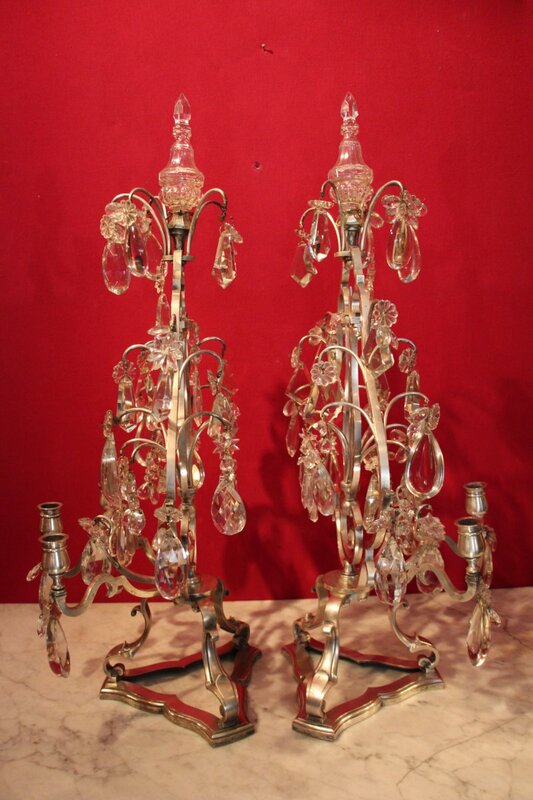 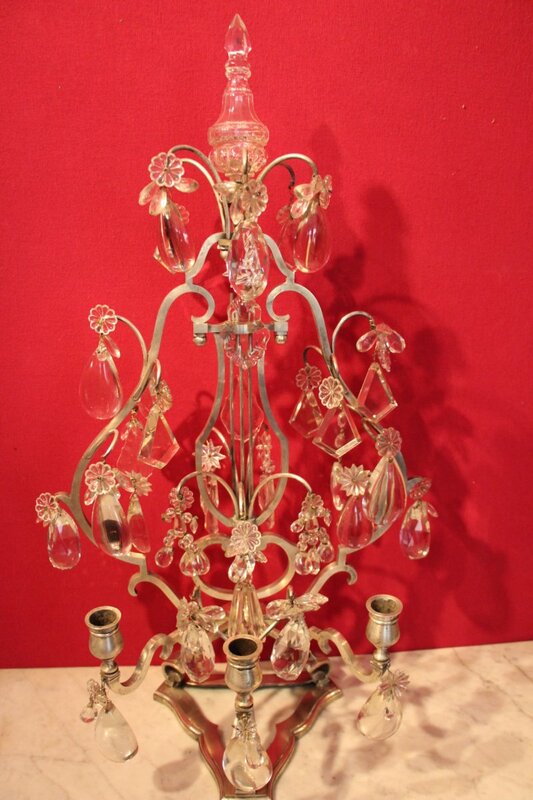 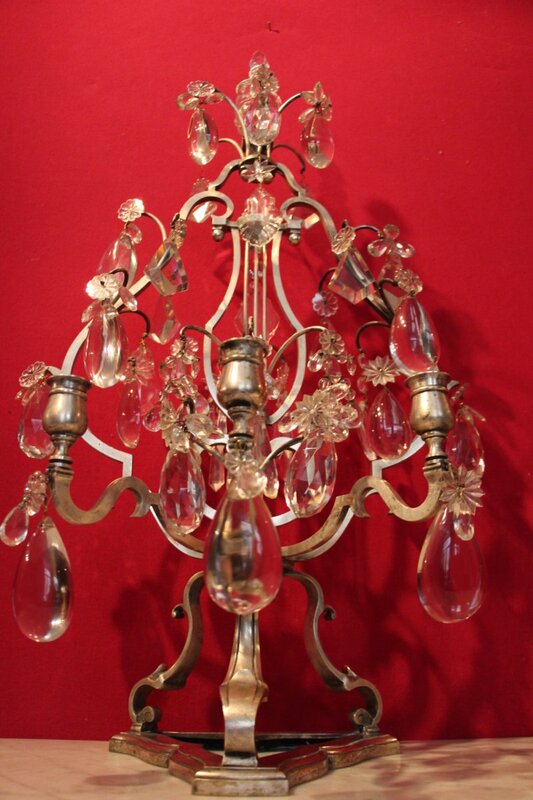 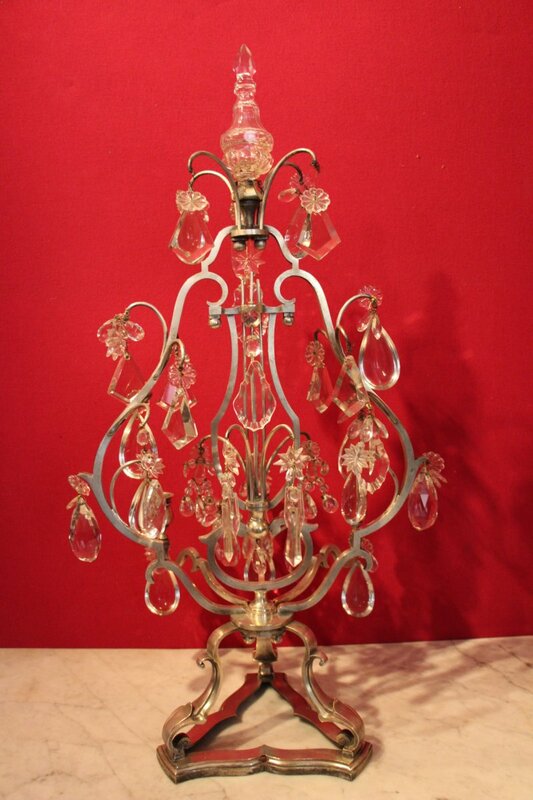 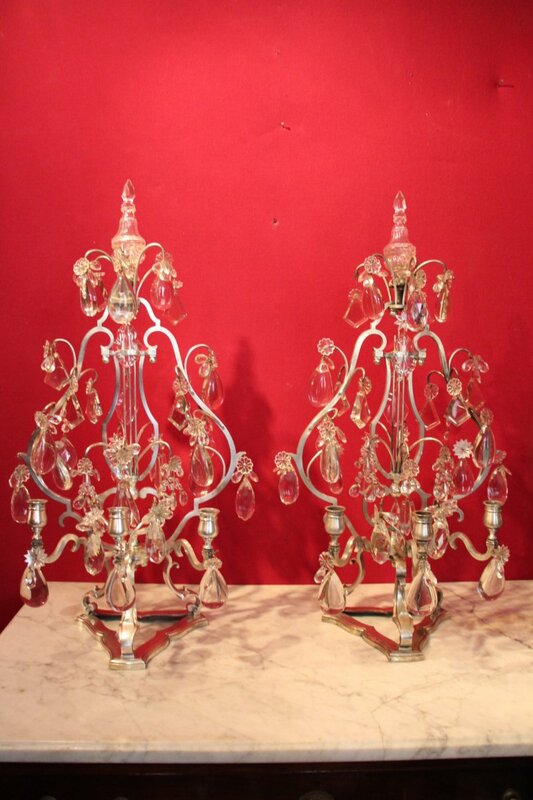 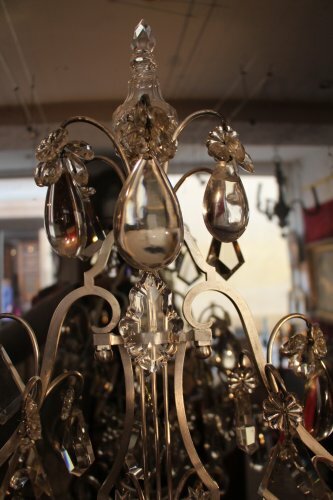 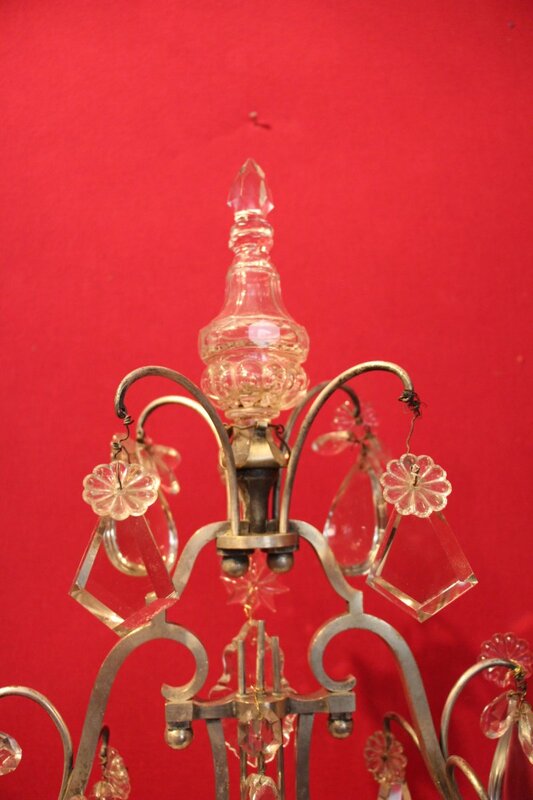 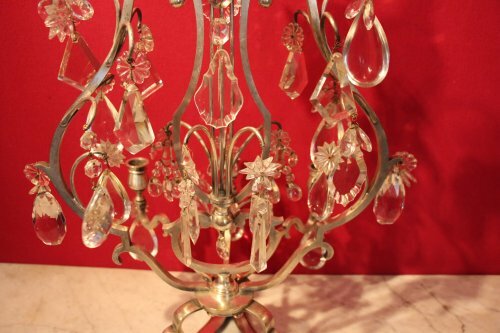 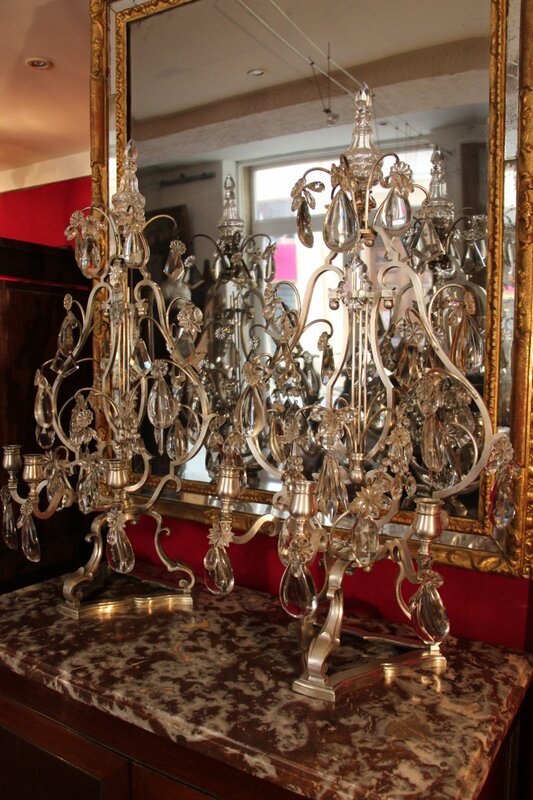 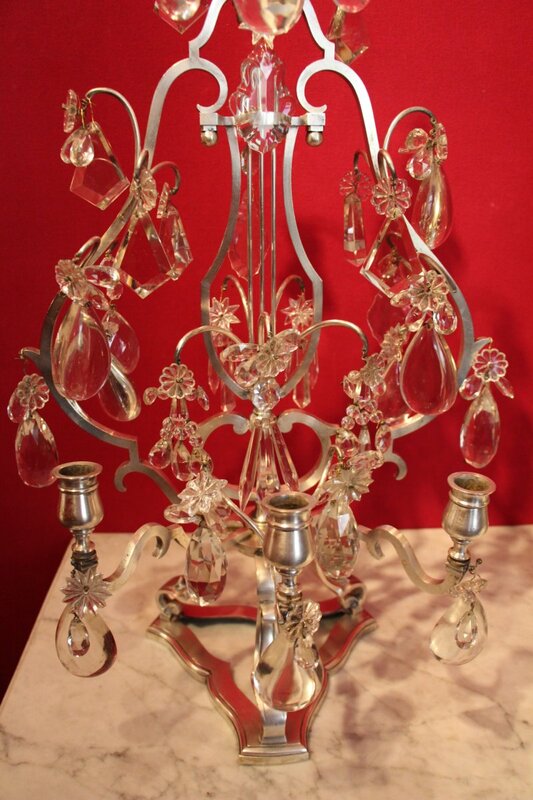 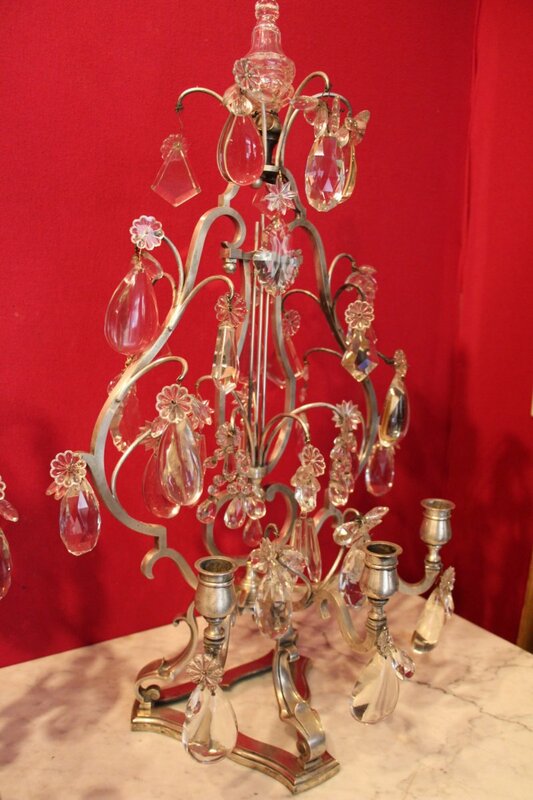 These chandeliers are based on three feet and they have large pendants of various shapes crystal. 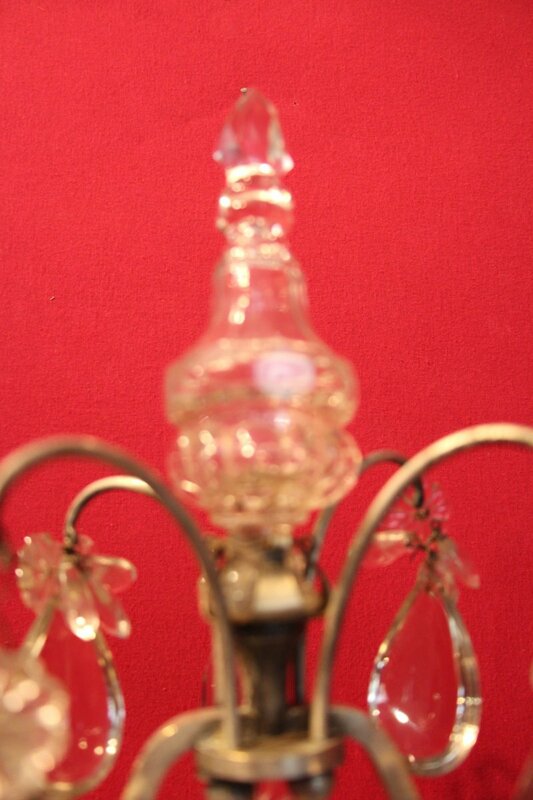 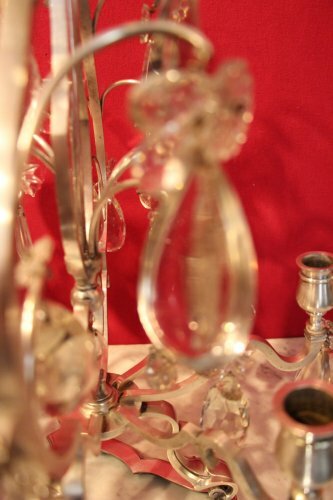 They are three lights arm ending with a large crystal dagger. 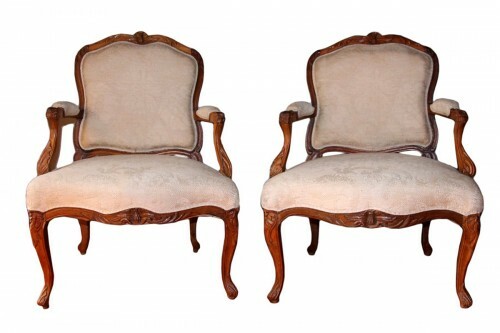 They regence style dating from the first half of the nineteenth century. 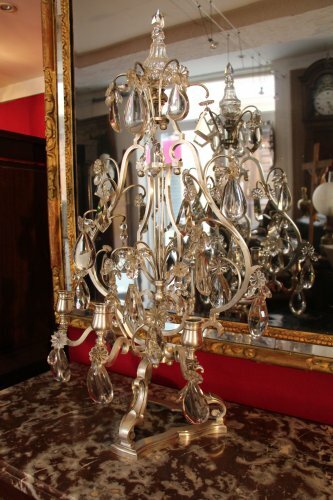 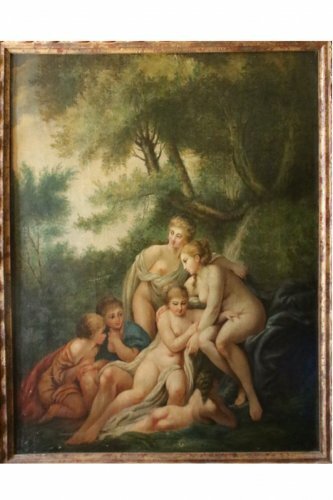 unusual model, in perfect condition.